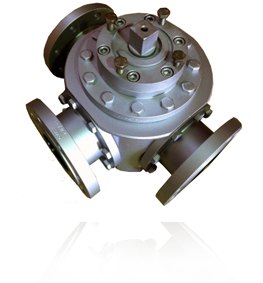 A ball valve, also known as a spherical valve, is a stopcock mechanism used to regulate the flow of a piped fluid and is characterised by having a perforated ball inside as its regulating mechanism. The mechanism is opened by turning the stem linked to the ball, allowing the fluid to pass by aligning the hole in the ball with the piping. When the valve is closed, the hole lies perpendicular to the line of the piping. The position of the actuator lever indicates whether the valve is open or closed. 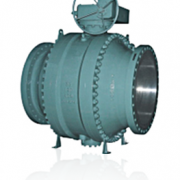 When the ball valves are totally open they offer a very small loss of pressure. They are also very durable and normally give perfect closing even after years of inactivity. They are also an excellent choice for ON/OFF service. 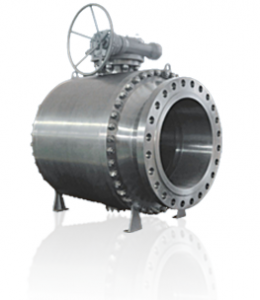 Ball valves are widely used in industry because they are very versatile and can withstand pressures of over 1000 bars and temperatures of over 500°C. They normally measure between 5 mm and 1200mm. They are also easy to repair and handle. Bodies can be made of cast iron, cast steel, stainless steel or alloy. The ball is usually chromed or stainless steel to make it more durable.